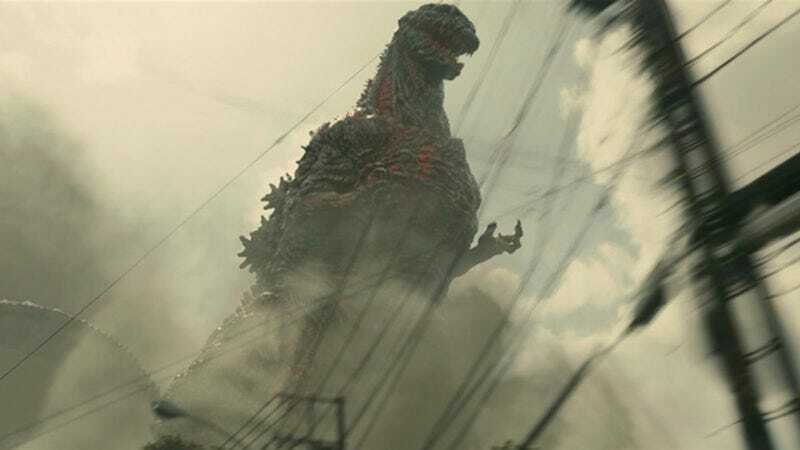 We’re on the record as thinking that Toho’s most recent Godzilla flick, Shin Godzilla, was a pretty good time, blending political satire and smashing buildings into one city-stomping package. But given that we gave the movie a B, we might still be out of step with the Japanese Academy Prize’s assessment of the film. The Prize—often referred to as the Japanese Academy Awards—named Shin Godzilla (also known as Godzilla: Resurgence) its Best Picture of 2016 today, along with six other awards, including Best Director. Godzilla stomped all over the night’s second place finisher, the critically acclaimed anime film Your Name. Other films up for contention at this year’s awards included Rage, What A Wonderful Family!, and Her Love Boils Bathwater, which earned a Best Actress award for star Rie Miyazawa.